Michael Rosbash’s speech at the Nobel Banquet, 10 December 2017. 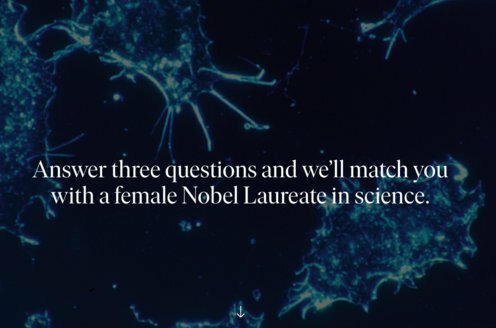 On behalf of professors Mike Young, Jeff Hall and myself, I want to express our profound gratitude to the Nobel Assembly of the Karolinska Institute and the Nobel Foundation. We are being honored for our contributions to the field of circadian rhythms, for our studies of the genes and mechanisms that underlie this 24-hour timekeeper. The same biological clock ticks away in humans and fruit flies, which underscores the importance of circadian timing to life on this planet. Indeed, we now know that this clock affects almost all aspects of human physiology. All three of us began our professional lives with a love of laboratory and experiment, and we have worked almost exclusively with the fruit fly Drosophila. Remarkably, this is the fifth Nobel Prize in Physiology or Medicine for this tiny insect, beginning in 1933 with the pioneer T.H. Morgan. He was also the first American to receive this Nobel Prize. This history underscores the importance of Drosophila, model organisms and basic research more generally to scientific progress. We benefited from an enlightened post-war period in the United States: Our National Institutes of Health have enthusiastically and generously supported basic research. Although it continues to be the essential foundation for progress in more applied areas, the current climate in the U.S. is a warning that continued support cannot be taken for granted. Also in danger is the pluralistic America into which all three of us were born and raised after WWII. Immigrants and foreigners have always been an indispensable part of our country, including its great record in scientific research; eight of the 10 Nobel science-winners here today are U.S. citizens, but four of us are immigrants or children of immigrants. We are changing this successful formula at our peril. I note that Sweden is the most refugee-friendly country in Europe, if not the world. Scientific careers rely on inheritance, environment and random events like all biological phenomena. Our inheritance includes dowries from traditional Drosophila genetics, and from the school of fly behavior that Seymour Benzer and his students began at Caltech in the mid ’60s. Most important for the circadian field was the pioneering work of Ron Konopka in Seymour’s lab. Our environments have been unfailingly supportive, and we are profoundly indebted to our families, colleagues, students and postdocs, as well as to our remarkable institutions: Brandeis University, the Howard Hughes Medical Institute and The Rockefeller University. Lastly, one should never discount the importance of “blind, dumb luck,” as we have been blessed with good fortune at almost every turn. Yet to have this journey topped off in this way is almost unimaginable. Mike, Jeff and I are honored beyond words.